Gawthorpe St Mary’s Church and the end of Pickersgill Street on the right. A growth of population in Gawthorpe led to the creation in 1901 of a third parish in Ossett (although it was technically designated a consolidated chapelry) bearing the name Gawthorpe with Chickenley Heath, combining portions taken from the older parishes of Ossett, Earlsheaton and Hanging Heaton. The church of Gawthorpe St Mary the Virgin was built in 1899 to serve the new parish. St. Mary's Church, Gawthorpe closed in 2001 because of a declining congregation caused by road building and recent housing developments. 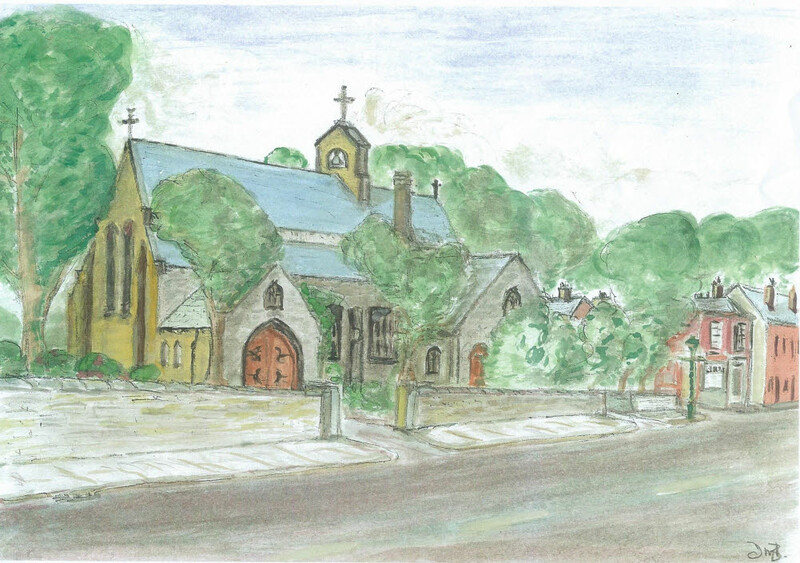 The Gawthorpe parishioners were transferred to Holy Trinity Church, Ossett whilst Chickenley parishioners were transferred to a new church in Dewsbury. In 2007 planning permission was granted to convert the old church into a modern apartment block, but the church was demolished and has been replaced by new housing..